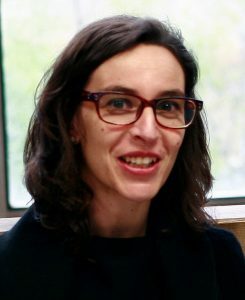 Daniela Nascimento is a researcher at the Humanities, Migrations and Peace Studies Group of the Center for Social Studies and an assistant professor at the International Relations department at the School of Economics of the University of Coimbra. She lectures at the undergraduate and graduate levels in International Relations, including the Master in International Relations and the PhD in International Politics and Conflict Resolution. She received her PhD in International Politics and Conflict Resolution from the University of Coimbra and her European Master’s Degree in Human Rights and Democratisation (2002-2003) from the University of Padova (Italy) and University of Deusto-Bilbao (Spain). She has a bachelor degree in International Relations (4 years) from the University of Coimbra. Her research interests focus on peace studies, human rights, peacebuilding, humanitarian action, especially in the African context. She has published articles and book chapters in national and international peer-review journals and publishers.